No fewer than 45,000 Zulu maidens participated in the Annual Reed Dance, known as Umkhosi Womhlanga in Zulu Kingdom, South Africa, after going through virginity testing in their districts. The maidens where made to undergo the “ritual” test aimed at ensuring that they were virgins at the Enyokeni palace of King Goodwill Zwelithini, on Friday. 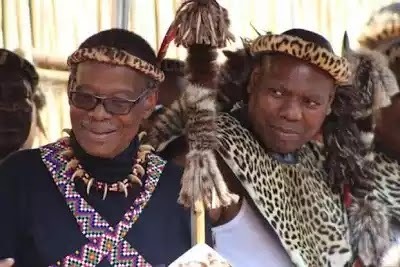 DAILY POST had last week reported that young girls in their thousands would undergone virginity test in their districts to affirm their purity before Zulu King, Goodwill Zwelithini ahead of the Annual Reed Dance. The rite took place between September 8 and 10 in Nongoma, Zulu kingdom in South Africa and this year’s Reed Dance also known as Umkhosi Womhlanga‚ will take place from September 8 to 10.